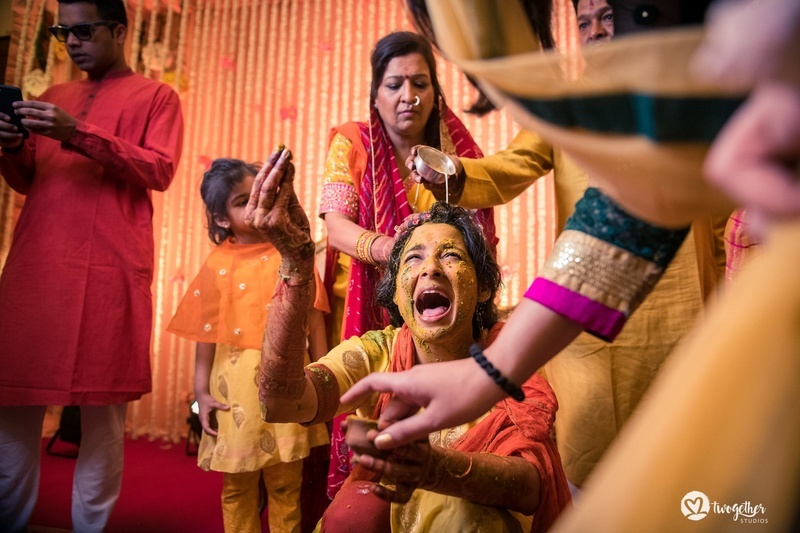 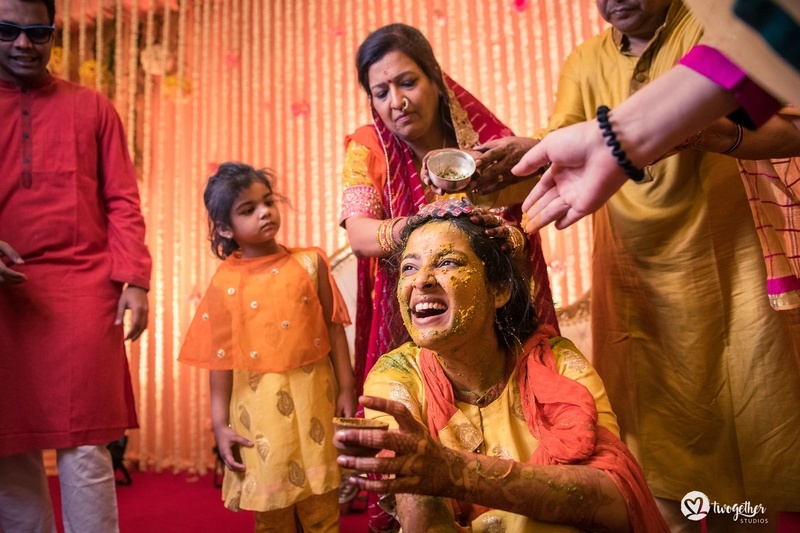 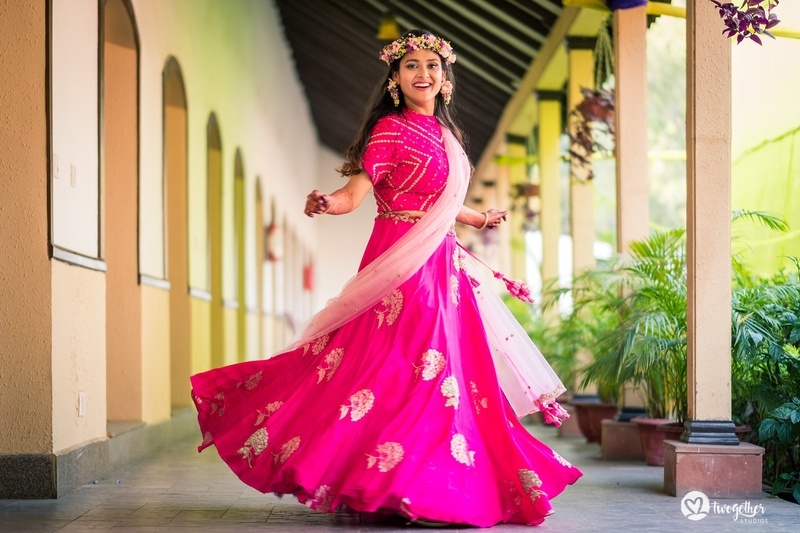 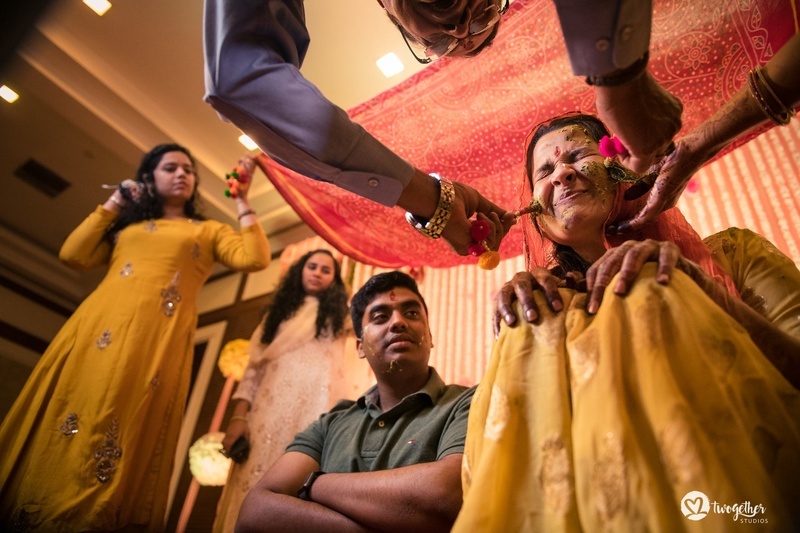 This bride recently got hitched in a dreamy wedding ceremony and her expressions are to die for! 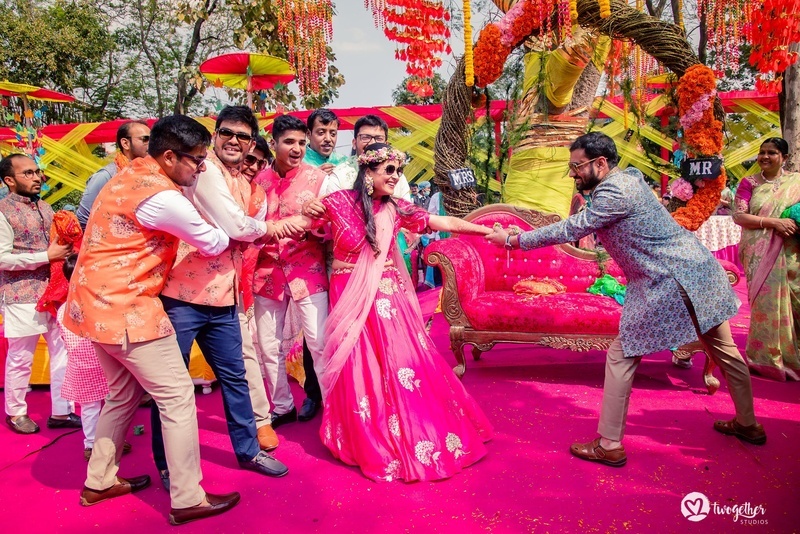 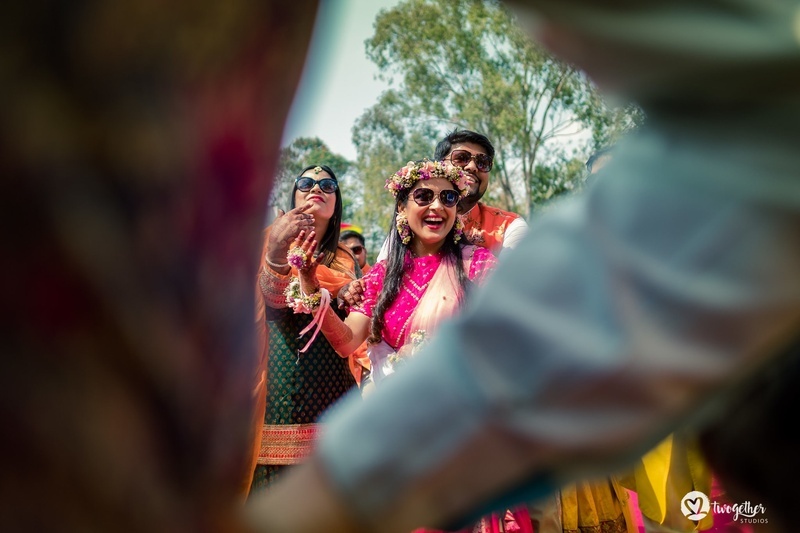 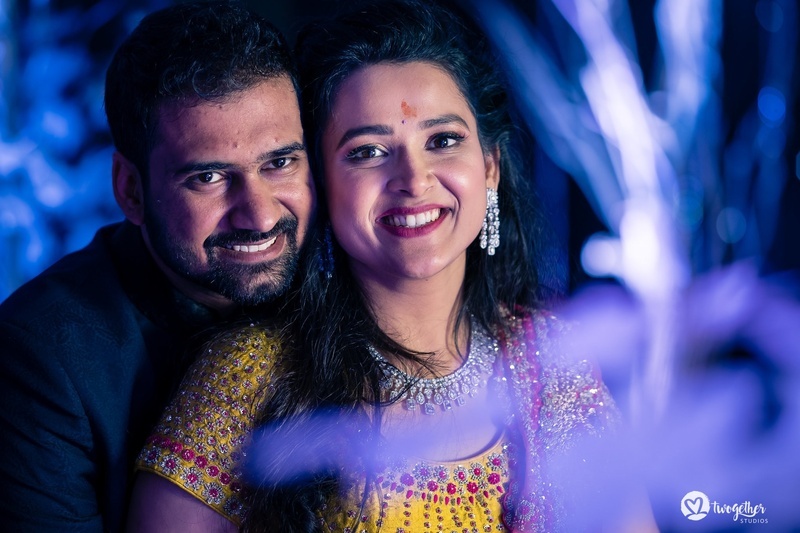 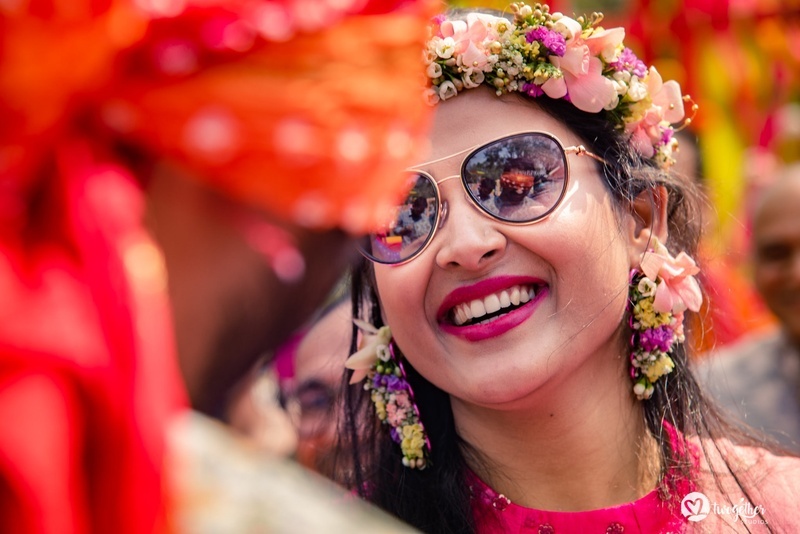 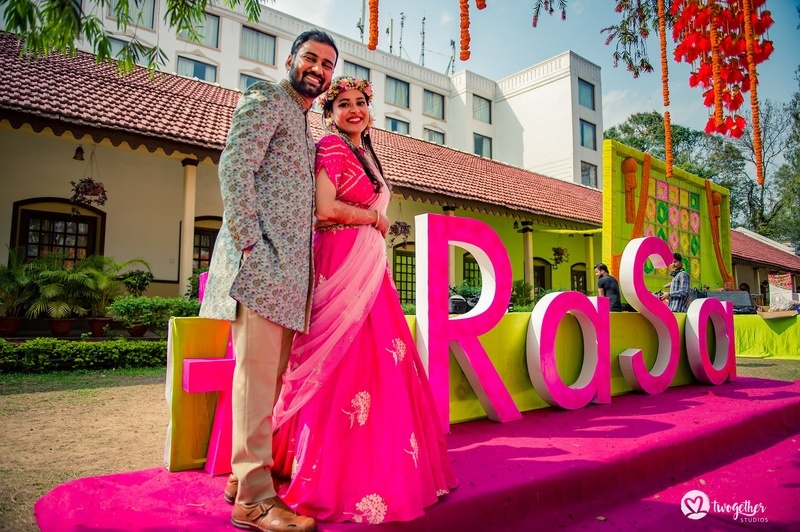 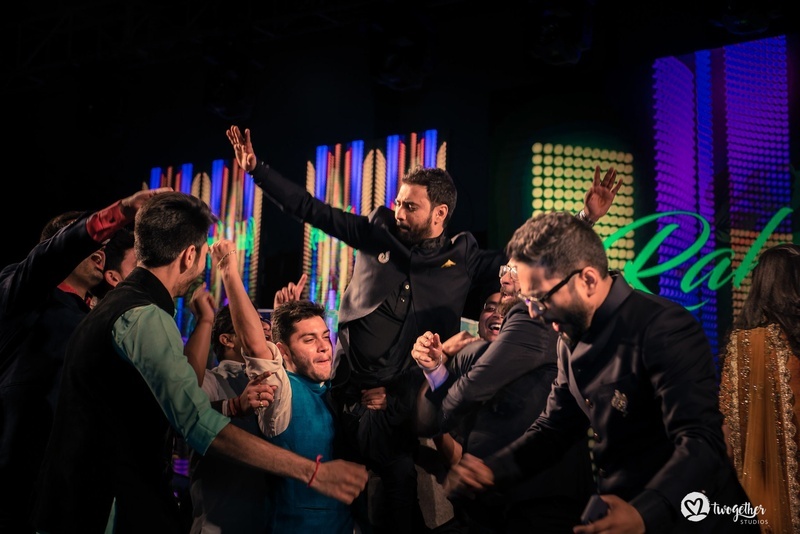 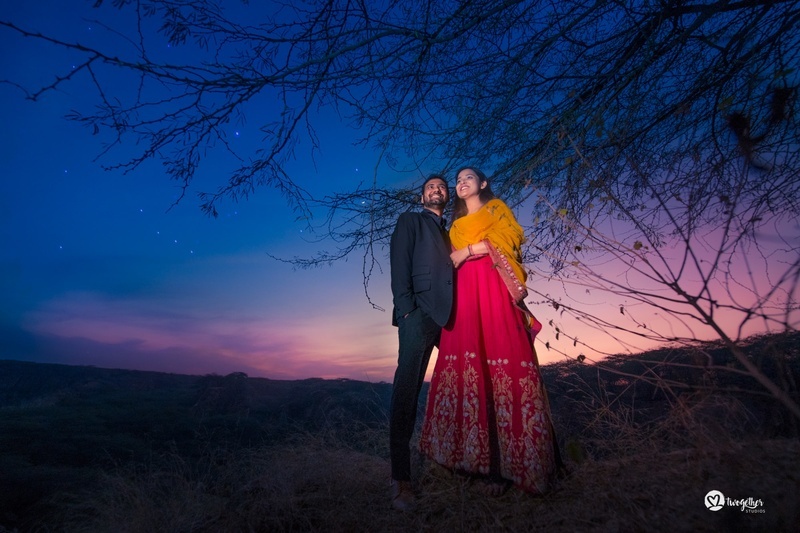 Rahul and Sanya recently got hitched in a beautiful wedding ceremony in The Carnival, Ranchi. 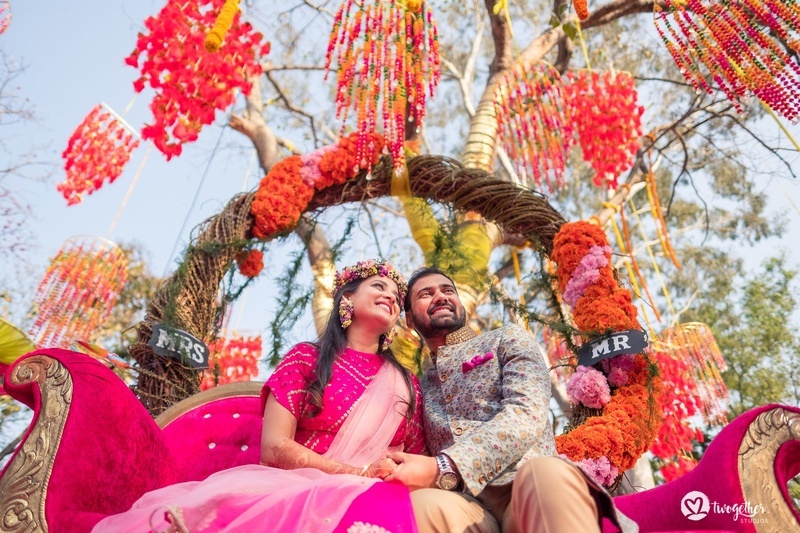 The wedding was a total dream affair and The Carnival left no stone unturned in providing them with the setting of their dreams. 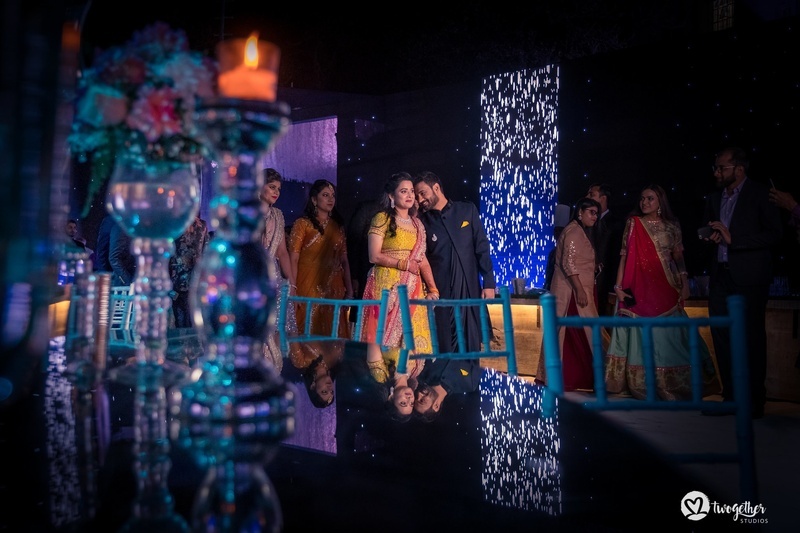 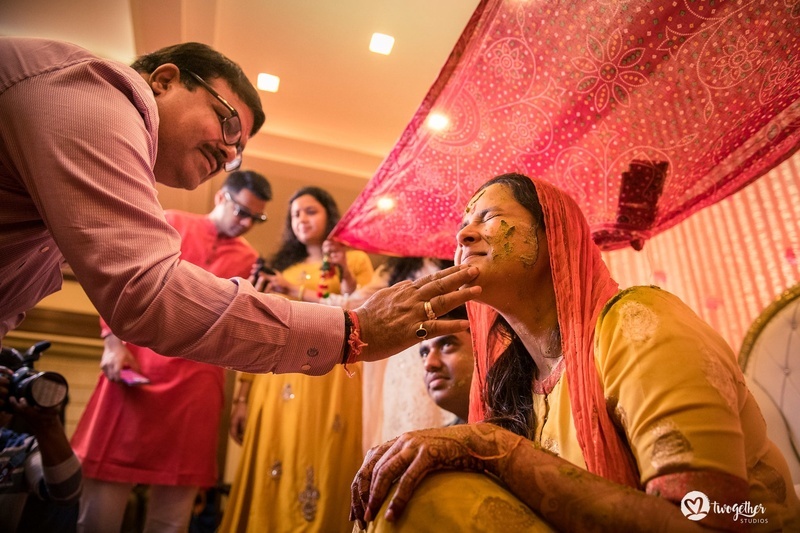 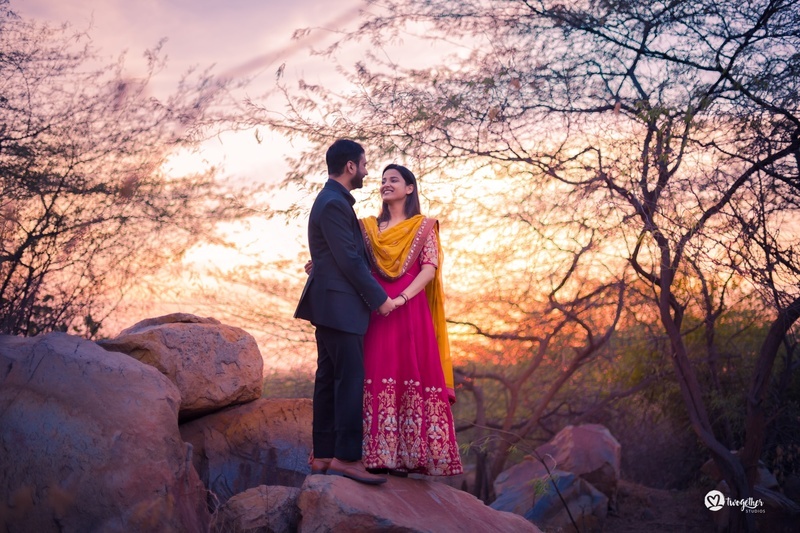 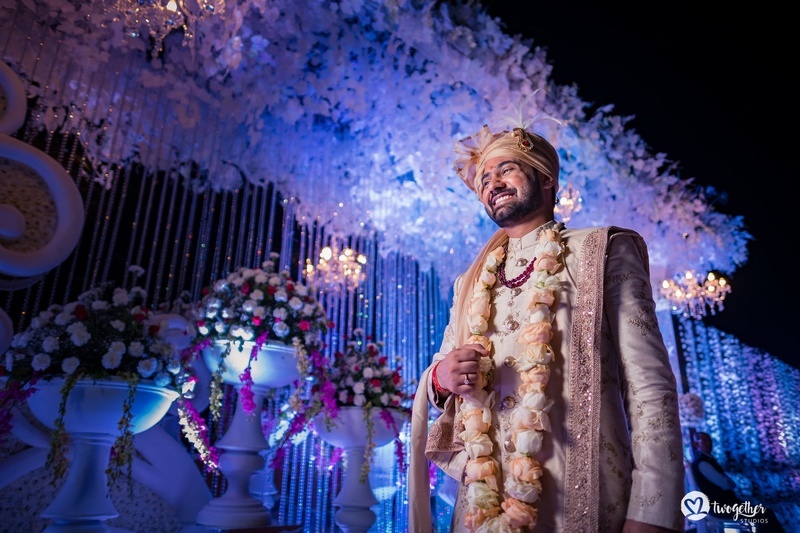 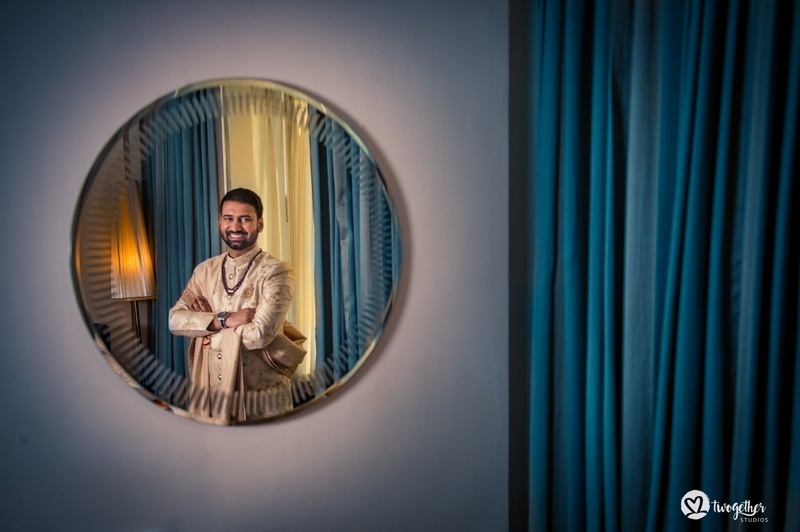 The wedding was beautifully planned by their wedding planners Evolve weddings and each moment of it was captured as if one is reliving the moment again, by their wedding photographers Twogether Studios. 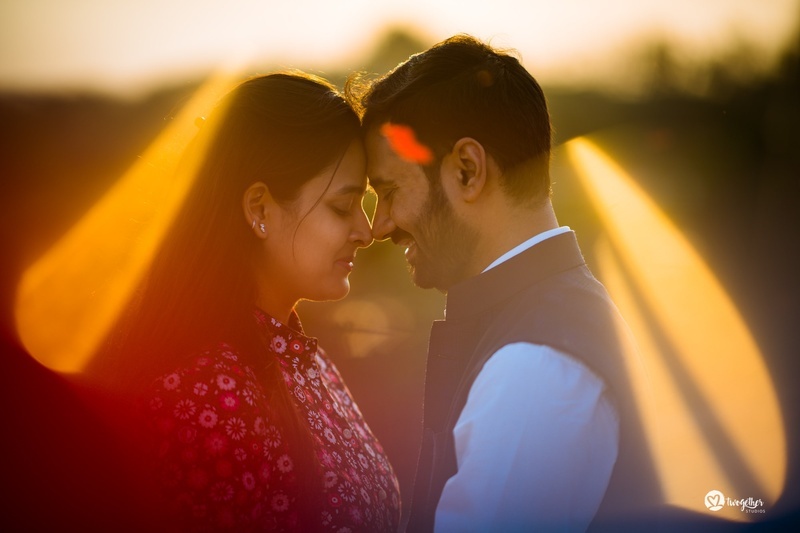 Time and distance lose its meaning when you know that it’s right and our cute couple describe this phase perfectly. 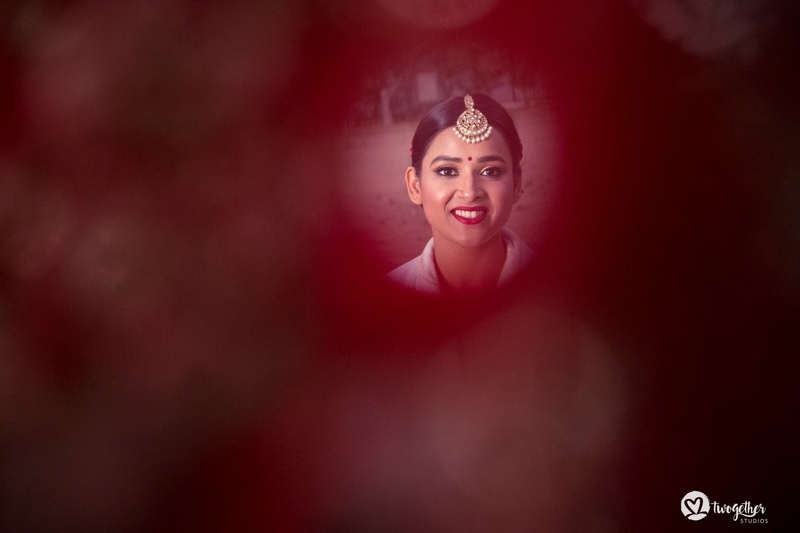 Meeting Sanya was Rahul’s fate, he believes. 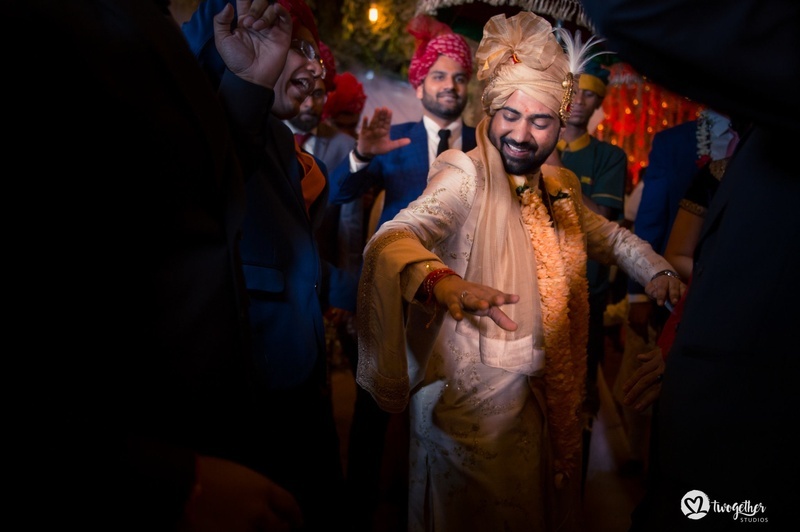 From the very first meet, he was bowled over! 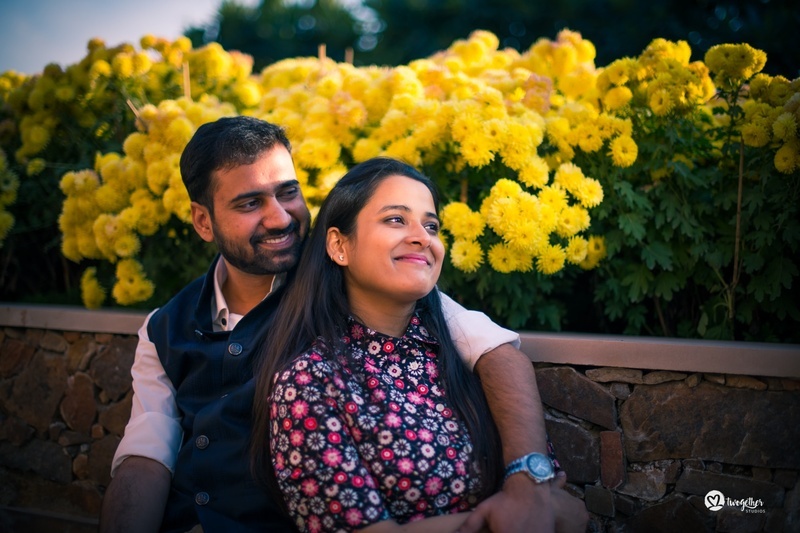 For Sanya, having a partner who loved and cared for her was very special. 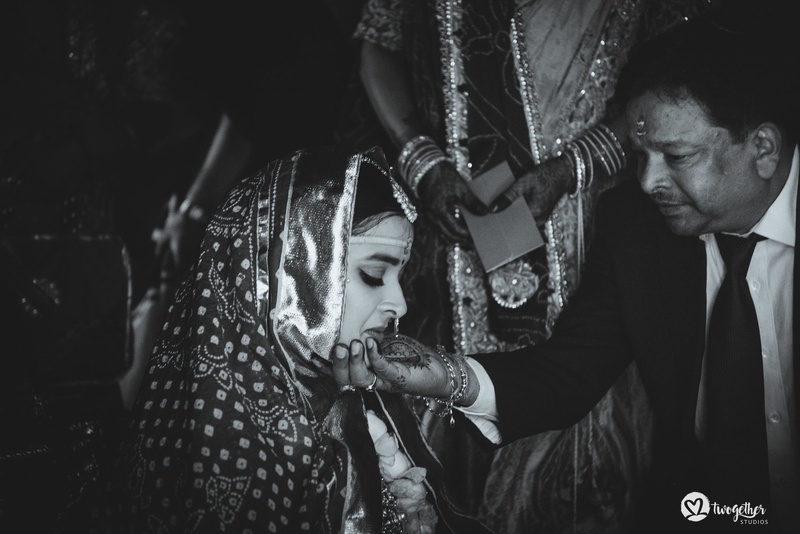 She loved that he made her his priority since day one. 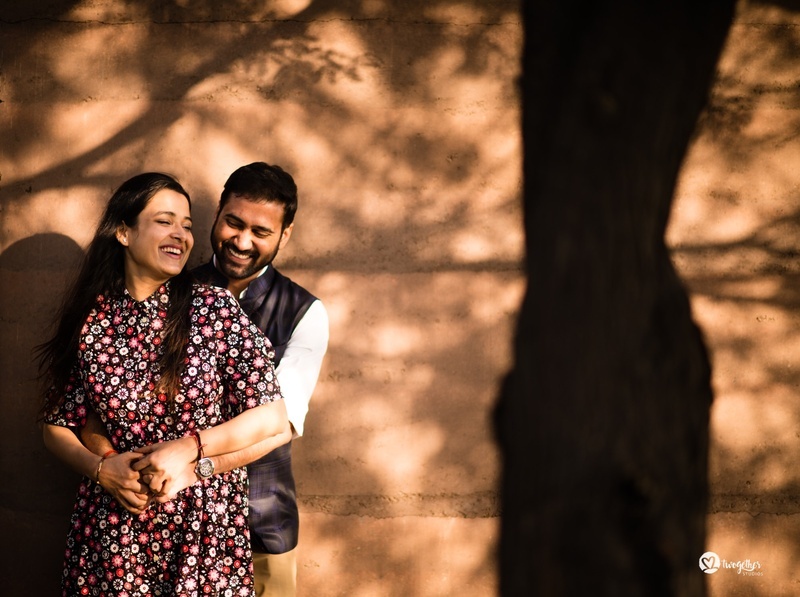 While Rahul’s friends teased him for his late night conversations with her, Sanya’s friends were joyous that she found her perfect partner. 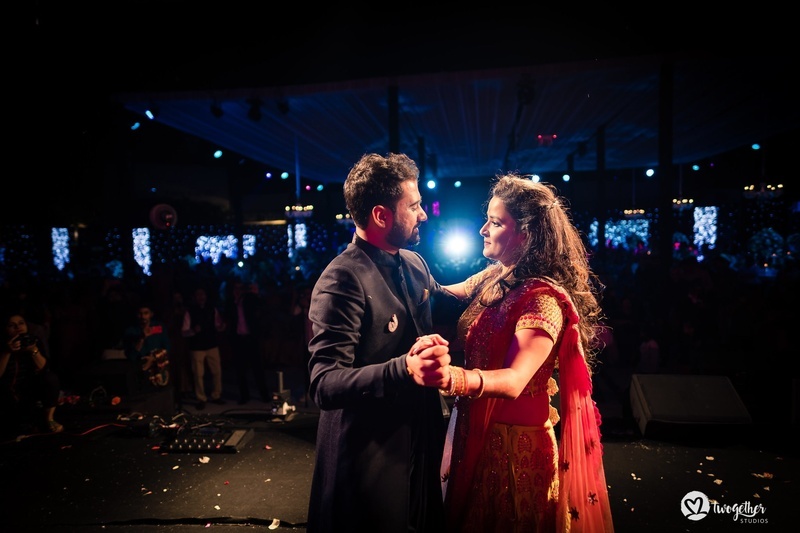 And we’re not one to exaggerate, but we could see the love and adoration they had for each other. 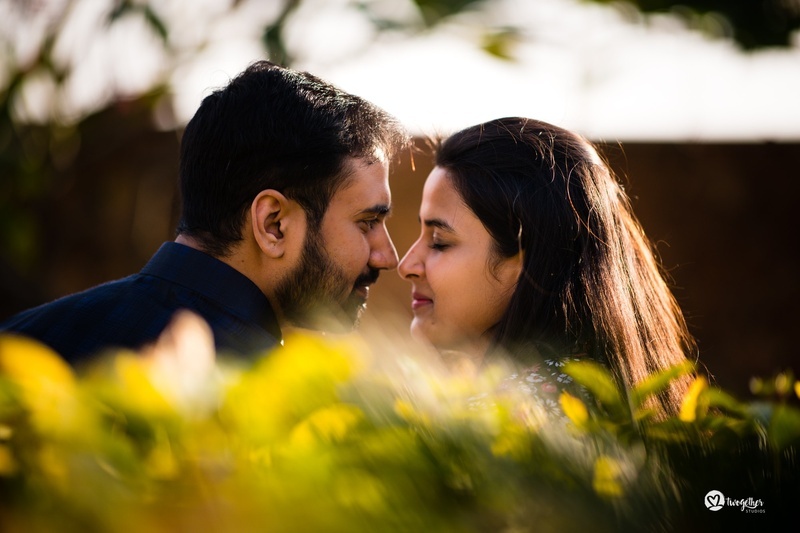 Her vivaciousness and his reserved but extremely warm nature made for a phenomenal combination. 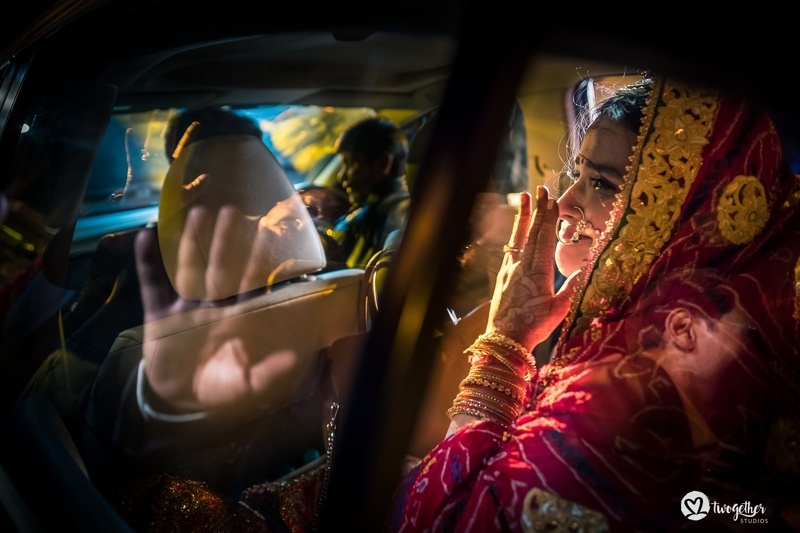 Their families were ecstatic that they chose one another. 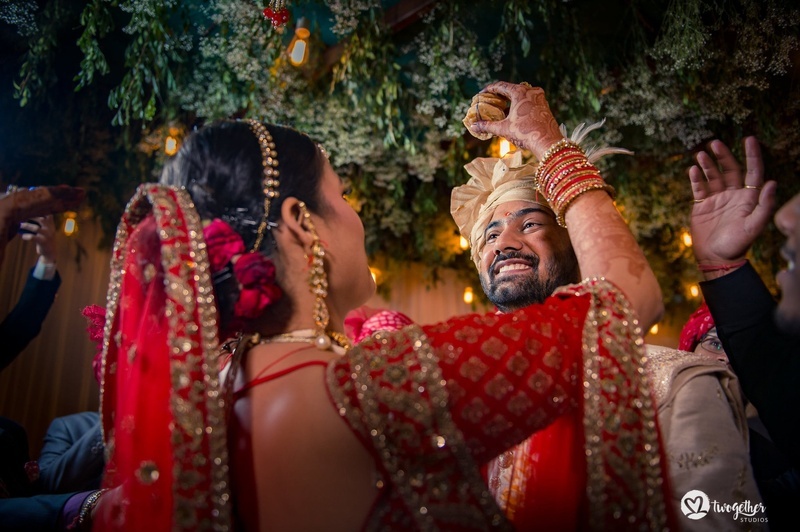 What followed was a beautiful celebration of their union with their closest family and friends. 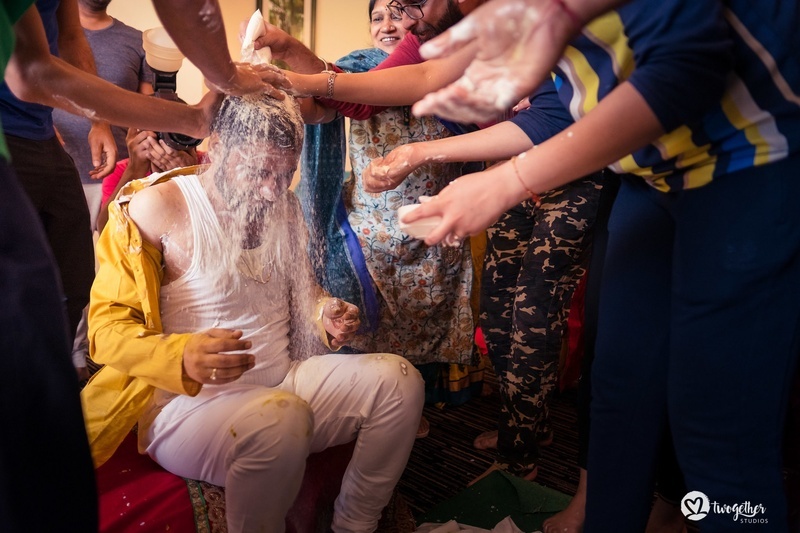 They had a fun mehendi event at Hotel BNR, Ranchi with lots of games and a super-entertaining tug-of-war. 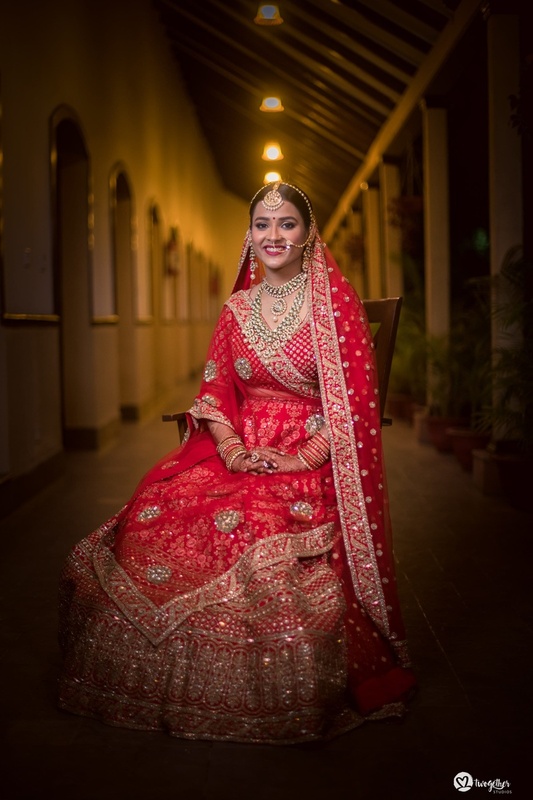 The bride looked absolutely adorable in her outfit by Osaa and the groom picked his trousseau from the Heritage collection. 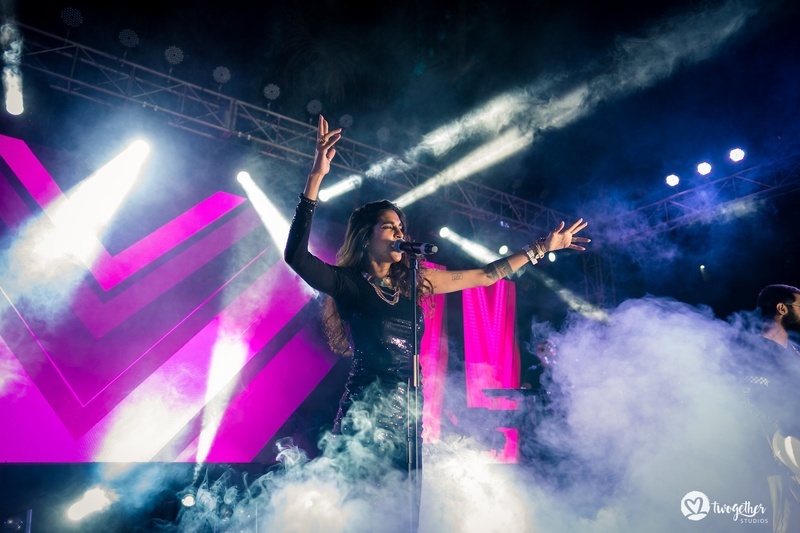 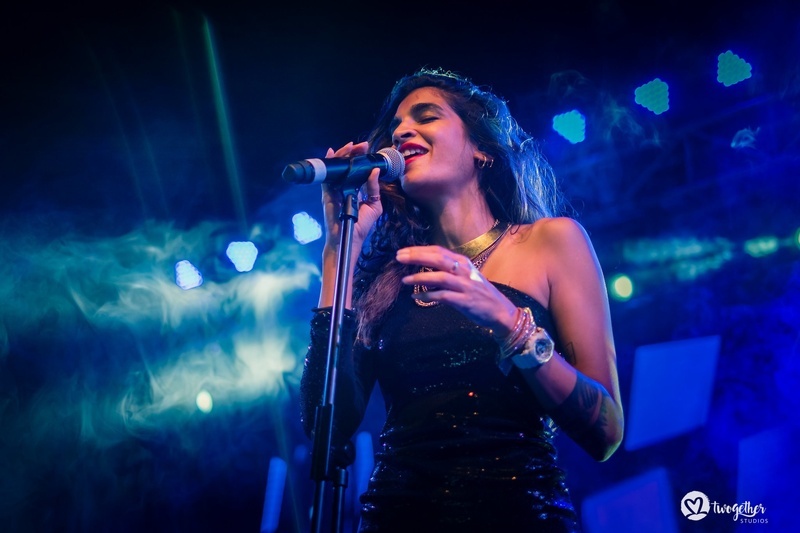 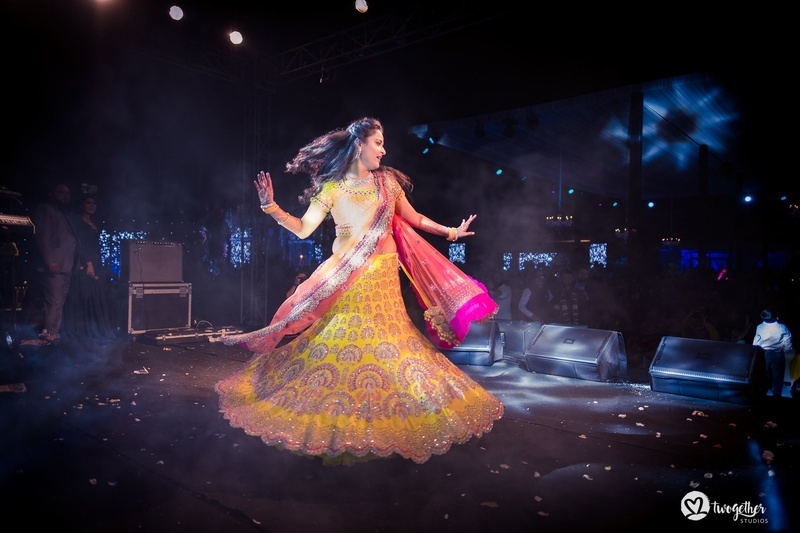 On their sangeet night at Ranchi club, singer Anushka Manchanda had everybody dancing to her spirited tunes! 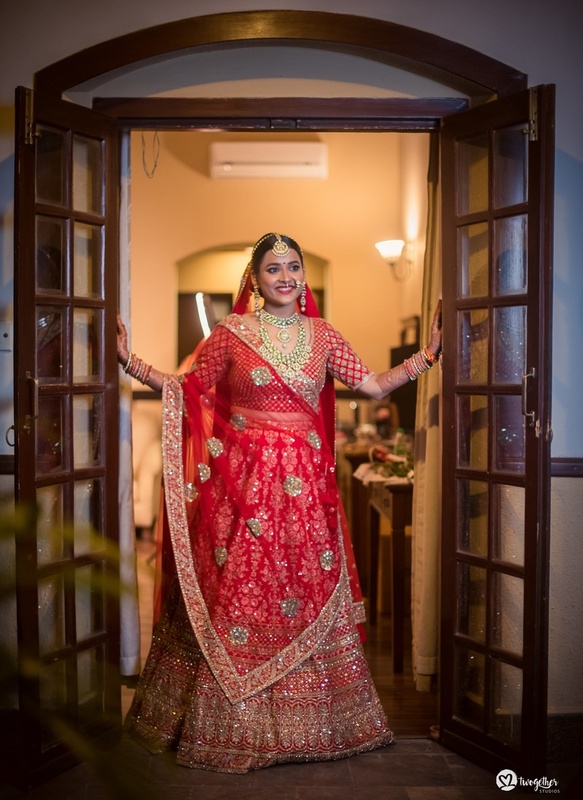 The bride’s outfit was yet again from Osaa while the groom went with Study by Janak. 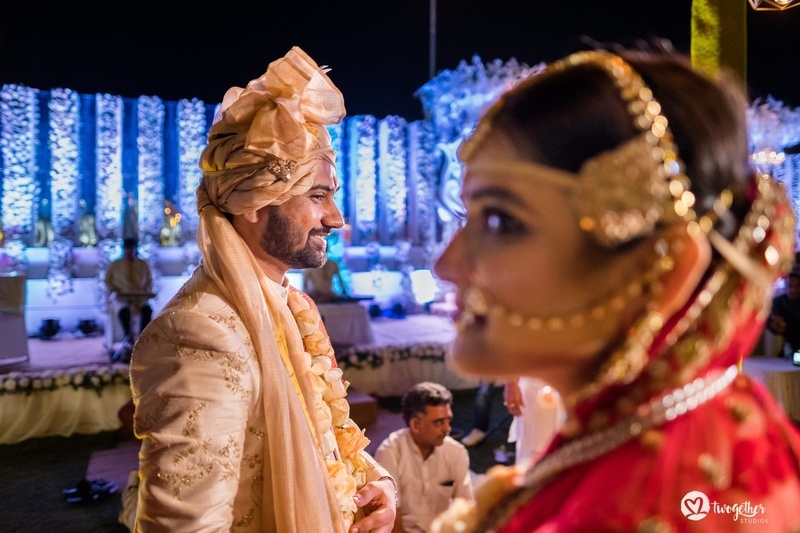 The wedding was specially an aww-gazing affair. 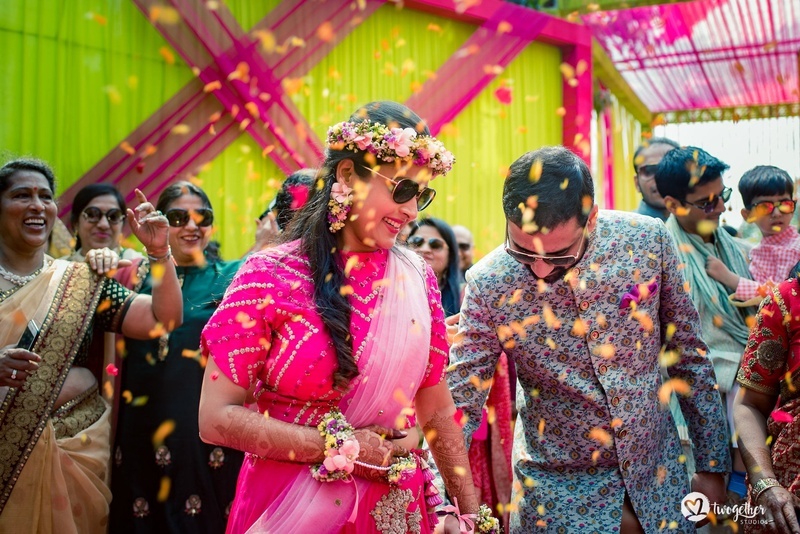 Both the bride and groom picked out their wedding trousseau from the house of Sabyasachi and definitely ruled hearts. 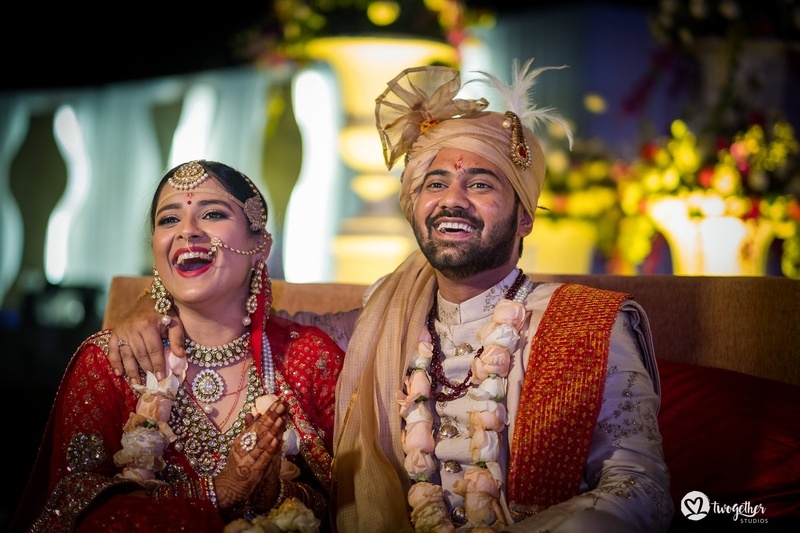 The bride looked like a beautiful princess in a makeup done by Priyanka Baweja. 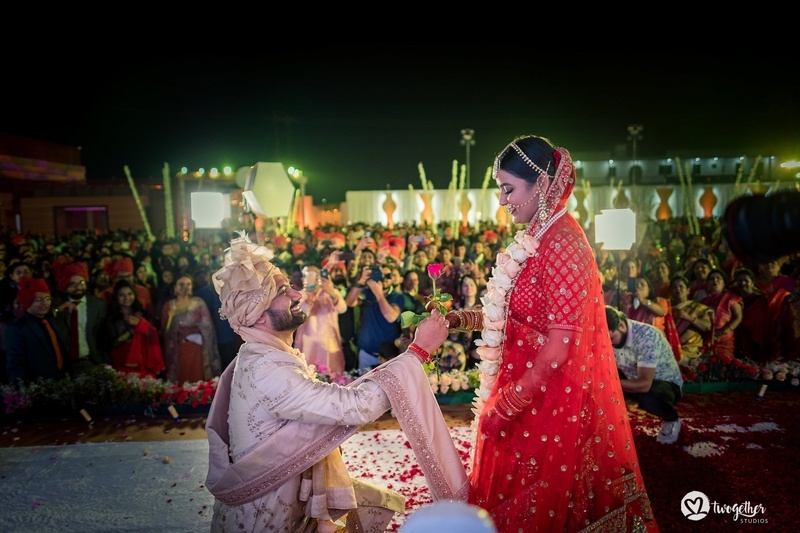 It was a beautiful three-day celebration of their love! 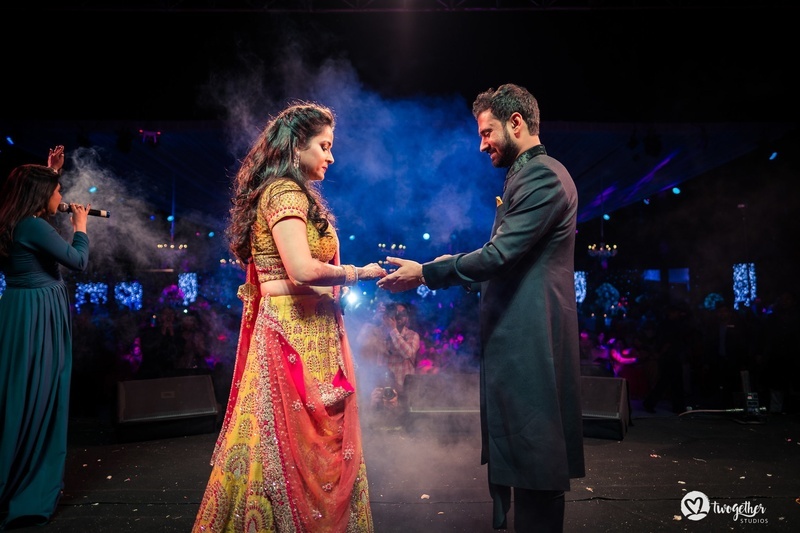 Rahul was a dashing groom while Sanya made for the most gorgeous bride! 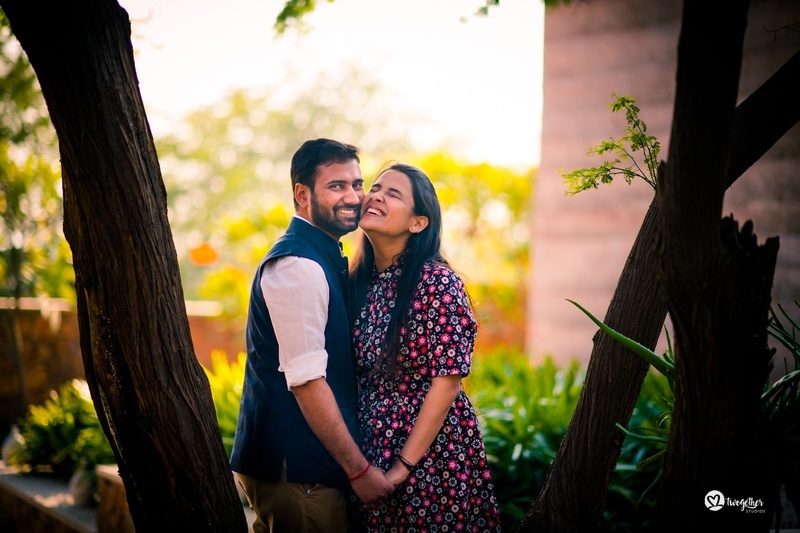 We wish the couple with our best wishes for all their future endeavours.